Its latin name comes from the greek hydro and ophis, meaning water-serpent. Besides the warning signs of black and white stripes, there is no mention of the fact, that it is by far the most venomous snake in the world. Because of its extremely docile nature, human accidents only happen when provoked. 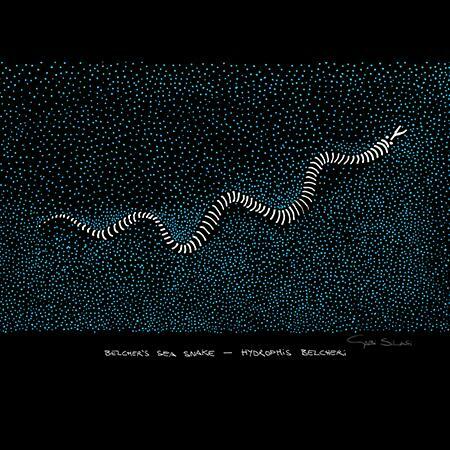 Sea snakes have evolved to suit aquatic life and rarely go on land, but need to surface after 8 hours to breath air.